Familiar Joy: Favorite healthy habits! I cannot tell you how many times I've been asked to blog about incorporating fitness and healthy habits into our family. I suppose with two parents as health/fitness teachers, our kids have little choice to learn to live that lifestyle. As you have probably learned from reading this blog, our oldest son, Jake, is a great athlete. He lives and breathes sports and seriously, never wears out! We have to drag him back into the house at bedtime, because he'd rather be shooting hoops, playing catch or hitting pitches. Being active has never been a problem for him. And then there is our second born. He doesn't have those same desires for activity. In fact, we have to convince him to be active, most days. For us, it's not the importance of being an athlete, but it is about staying fit and active. Those are values that we want to instill in our kids at a young age. We told Brett that he doesn't have to play sports, but he does have to choose an activity that gets his heart rate going. He's been on soccer, baseball, basketball and wrestling teams. None of them were his favorite. And that's okay. In fact, if you ask Brett about sports, his reply is, "I'm more of a rare sports kind of guy. I prefer non-contact sports." Ha!. But, that doesn't' mean he gets to sit around watching TV, doing nothing, after school. This year, he chose swimming as his activity and he's been doing great! He's only a couple levels away from making the swim team at our YMCA and we are super duper proud of him! It's exactly what I tell my students....if you find something you love doing, you are much more likely to stick with it! Furthermore, we have to be good role models for our kids. I want them to know the importance of exercise and making healthy choices. While they are in swim lessons, we work out at the gym. When the weather is nice, we take them on runs and bike rides. Adam coaches them in their sports and is an active part of their life. In our family, fitness is a lifestyle and an expectation. It is not a choice. I think this is a favorite among all of us! We buy two tubs a week and then the individual sizes from Costco. We use yogurt for everything! The kids love a good fruit, yogurt and granola parfait for breakfast, a yogurt in their lunch and then we mix yogurt in our smoothies. Another way we use yogurt is when we buy the plain flavor and then mix in a packet of fiesta flavored ranch seasoning. Paired with freshly chopped veggies, it's the most amazing (and healthy) dip! Seriously, try it!!! Chobani is our favorite yogurt choice (images from the chobani.com site)! I love that Costco carries them in the individual sizes, because I stick one in my purse to eat when I get to work in the morning. The kids have one in their lunch most days, too. Brylie loves the "squeezie" versions of this. Obsessed might be a better word! I love that Chobani has a great website for learning about their products. I love this snack for the kids because it gives them some protein and fat, so they aren't running inside for more food every 20 minutes! In their lunches, we pack the pre-cut organic apple bags (again, from Costco), but the kids eat whole apples at home, all the time! 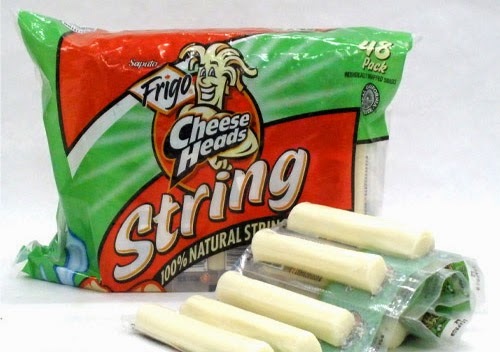 We go through an entire Costco package of string cheese, every two weeks. 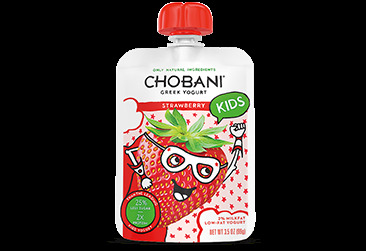 We pack one in lunches each day, and the kids grab them for quick snacks for on-the-go. I throw a string cheese in my purse in the mornings and eat it for a mid-morning snack. I like the added protein after a coffee with creamer. This is a family favorite. 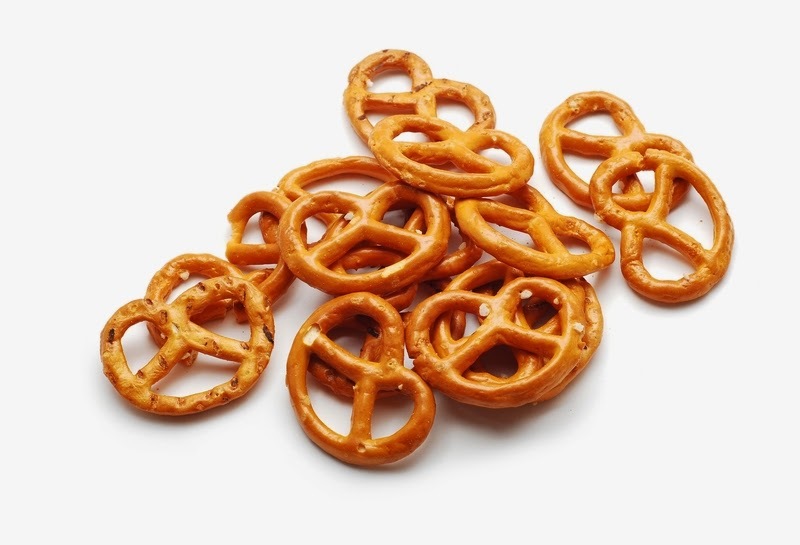 I try to buy the huge Costco sized bag of pretzels. I promise this post isn't sponsored by Costco. The kids grab a Ziploc baggie and fill it up for a quick snack. They love to dip! It's funny, but I can get them to eat almost anything if they can dip it. Hummus is our favorite, but we also love the jalepeno greek yogurt dip, cream cheese and salsa. I almost always have a bag of baby carrots in the fridge. 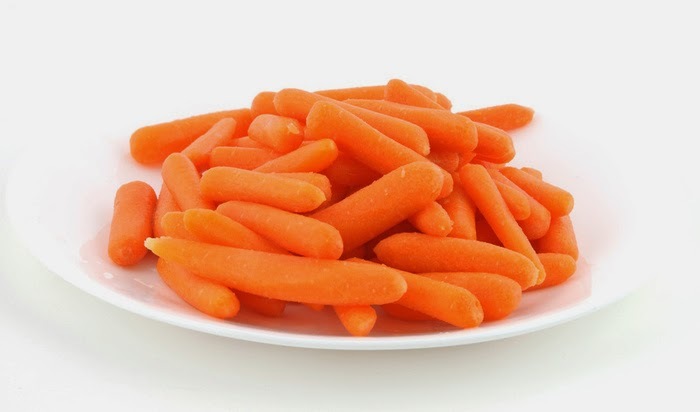 I know, I know, I read some article on Facebook about the way they make baby carrots and the fact that they aren't as healthy....but I choose to still give them to my kids. If I have time (in the summer), I'll buy the full sized carrots and cut them into spears, but frankly, I'm too busy for that right now. We love baby carrots! 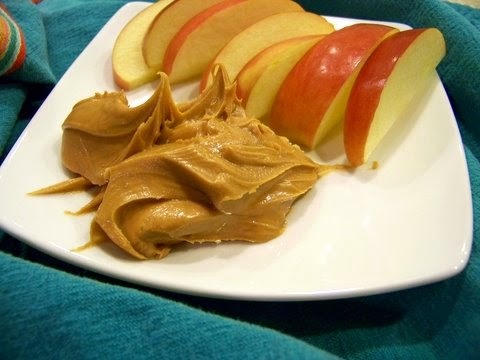 Again, dip them in hummus, ranch, or the greek yogurt dip and my kids gobble them right up! I try to make as many home cooked meals, as possible. Using fresh and healthy ingredients has made my kids appreciate many different foods. We've had comments from adults, being surprised at how well our kids eat. They are willing to try almost anything, and turn their nose up at very little. I don't make an alternate meal at dinner time. If they don't like what I make, they don't eat. Sure, we modify for the little ones, but for the most part, what we eat, they eat. And it's always worked for us. I guess the final equation is how do we get our kids to avoid junk food? The answer is, we don't. We do allow our kids to eat treats. We allow them to have fast food, we give them desserts, we don't restrict them from all sweets. However, what we do is teach moderation. Our kids have learned the difference between healthy and unhealthy and know that they have to make healthy choices before we allow sweets. We've never been a family to withhold treats, because my fear is that they would try to be sneaky and binge on it when given the opportunity. My kids have been taught that sugar and dessert is not healthy, but is okay every once in awhile and for a treat. They appreciate that, and I really think, will make healthier choices someday. I'm interested to hear what you feed your kiddos? What are their favorite snacks? How do you keep them healthy and teach them right from wrong, when it comes to fitness and nutrition? 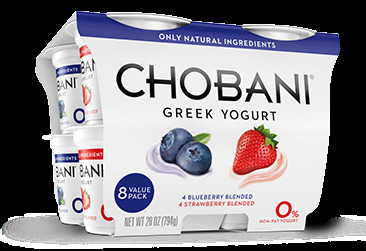 I love yogurt too, but I'm not a big fan of chobani. My favorite greek yogurt is the Dannon Light & fit. I also really love noosa, the Australian Yogurt. Didn't know that Chobani made squeeze packs of the yogurt. Zac loves him some yogurt and anything in a squeeze pouch is gold in the eyes of a toddler. We love all of those snacks too! Totally need to check out the squeeze pack for on the go this summer. Thanks for the helpful tips! We go through the string cheese and carrots here but I didn't know that yogurts come in the squeeze pouches. I will definitely be picking those up for our long car rides! I'm only just now getting into greek yogurt. I've never considered mixing it with ranch dressing seasoning! I've started preparing veggies and keeping them in tubs in the veggie drawer. That way when I'm in need of a fast snack for the kids I just have to pull out of a tub or two of whatever.. cucumbers, snap peas, carrots.. no time wasted washing and cutting and cleaning up because it's already done! Guilt-free snacks. Yay! I didn't know Chobani makes squeeze pouches! I'll need to keep my eyes out for it. And I can never get enough carrots and humus. We have a Costco sized container of it in the fridge now :) I hope you have a wonderful, relaxing weekend!! Thanks for linking up at H54F! Great tips! I love cheese as a snack--mild cheddar is my fav. Peanut butter is another favorite of mine.